On the 15th of June 2016, a productive, intense and fruitful day of work was experienced at the md Haptik event in Stuttgart, Germany. The compact mineral from PORCELANOSA Group, KRION®, was one of the star products in the exhibition organised by the prestigious architecture magazine with headquarters in the city. 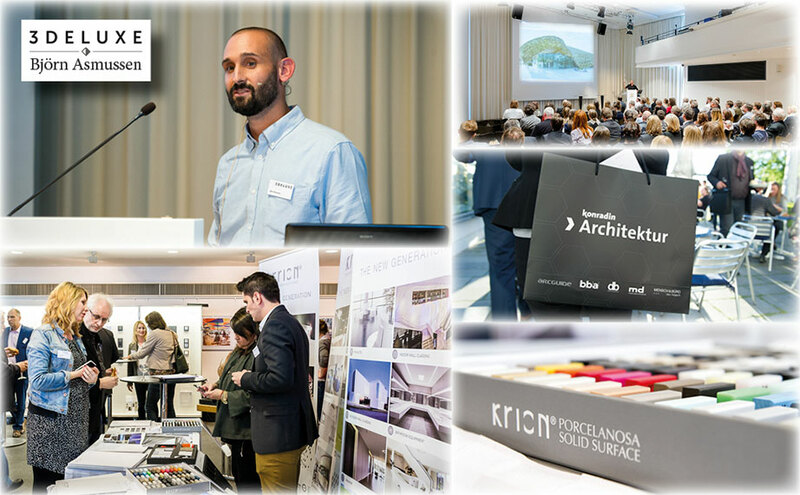 In this way, our commercial team was able to present all the excellent properties that make KRION® a new generation Solid Surface to over 200 invited architects. The prestige and importance of several of the attendees must be highlighted, with architecture studios such as Ippolito Fleitz Group and 3Deluxe, experts in KRION®, who were present at the event. The star moment of the day was the presentation by architect Björn Asmussen from3Deluxe. The prestigious studio presented its Noor Island project in the United Arab Emirates. Many of the spectacular interiors, created on the main building of the island, were built with KRION®, this being one of the strong points of the presentation. Thus, attendees were able to listen to the prestigious architect discuss the important qualities of or material, which allowed 3Deluxe to create this amazing project, which will soon be shown in our own news.